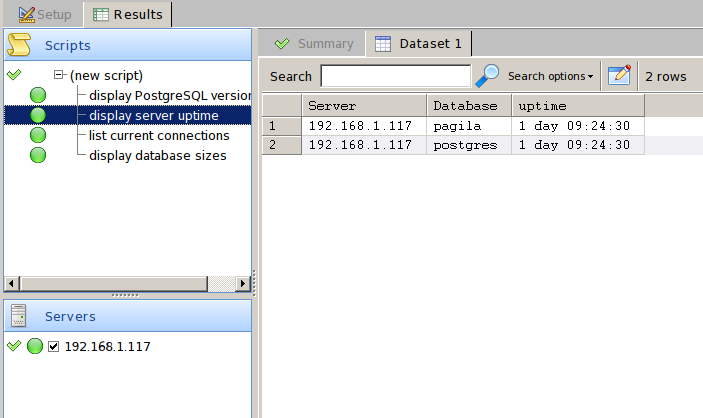 Let me start by saying pgAdmin 4 is a great tool for PostgreSQL. It makes a lot of the admin and monitoring work easier. It’s also cross-platform, and it’s free. 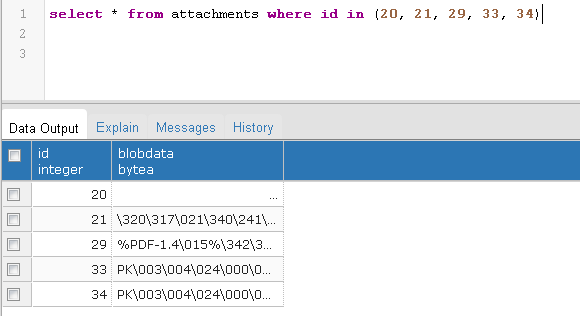 On the other hand, SQL Multi Select is just a query tool, that runs only on Windows. Well, it runs on Ubuntu using Wine, and on Fedora via PlayOnLinux. 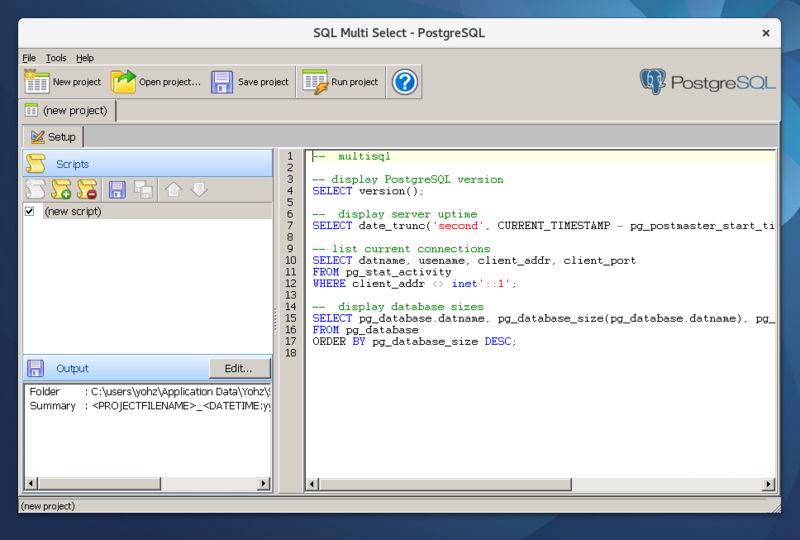 The Basic Edition is free, and here are some reasons you may want to use SQL Multi Select as your PostgreSQL query tool instead of pgAdmin. Note that pgAdmin 4 (1.4) was used for this comparison. 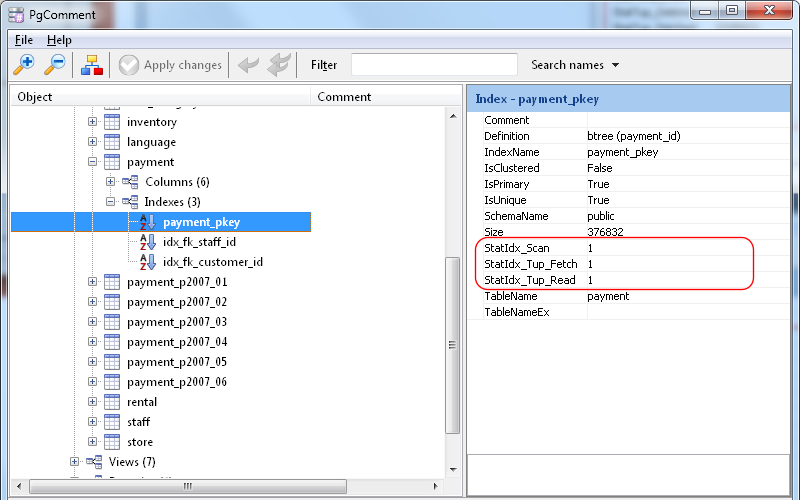 Run the script, and you’ll see the results for each of those databases, across all servers in the server group. only the last result set is returned. 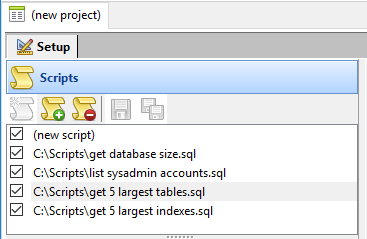 In SQL Multi Select, the same script returns multiple result sets. 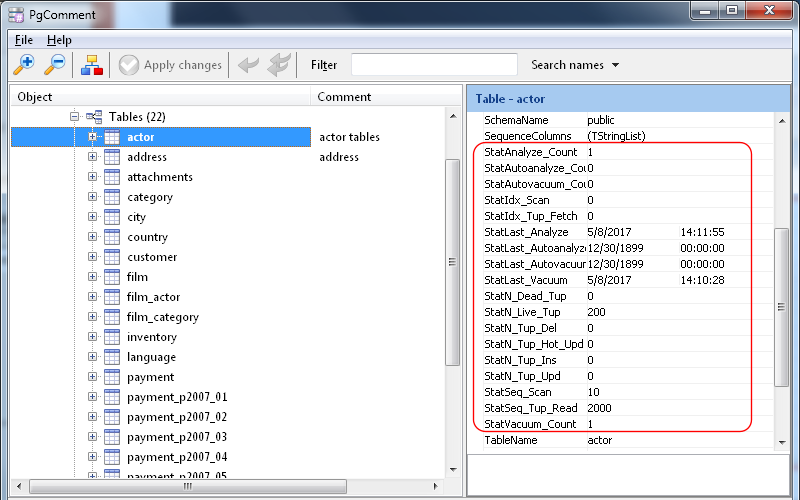 and SQL Multi Select will use those comments to identify the result sets instead of arbitrary numbers. 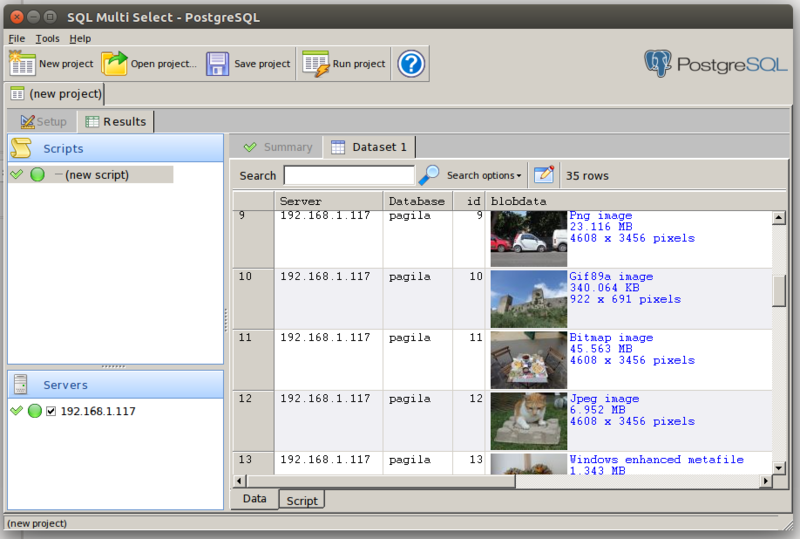 In bytea columns storing images, pgAdmin displays the hex values. 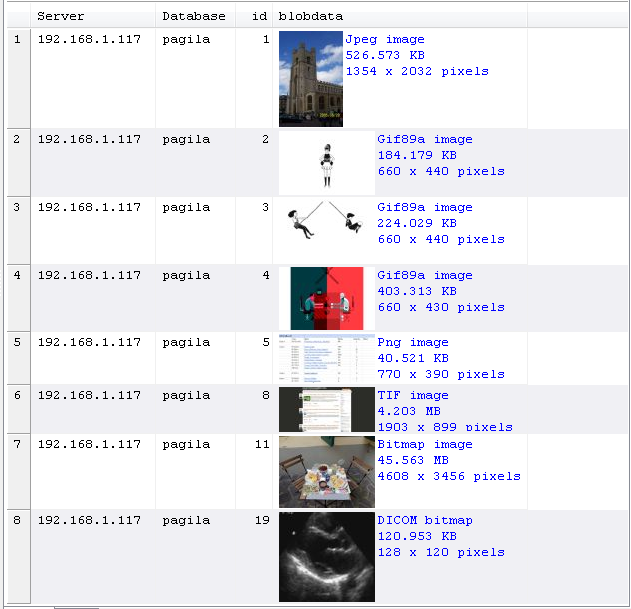 SQL Multi Select displays a thumbnail of the image (gif, jpeg, png, bmp, dicom), and some image properties. 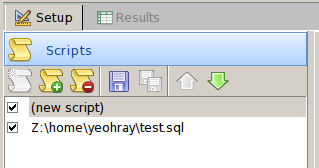 Note that SQL Multi Select inspects the bytea values and identifies the image format automatically. 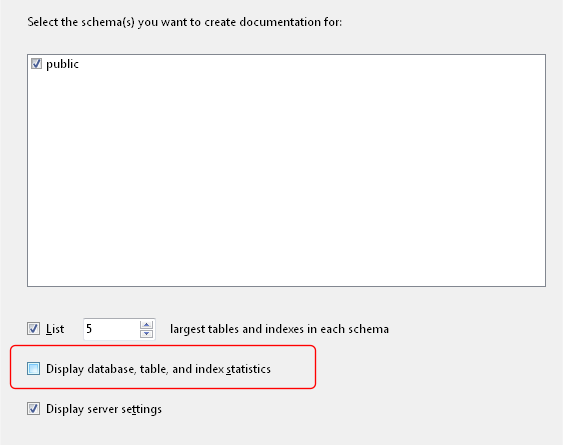 There is no need to provide another column that tells SQL Multi Select the image format. 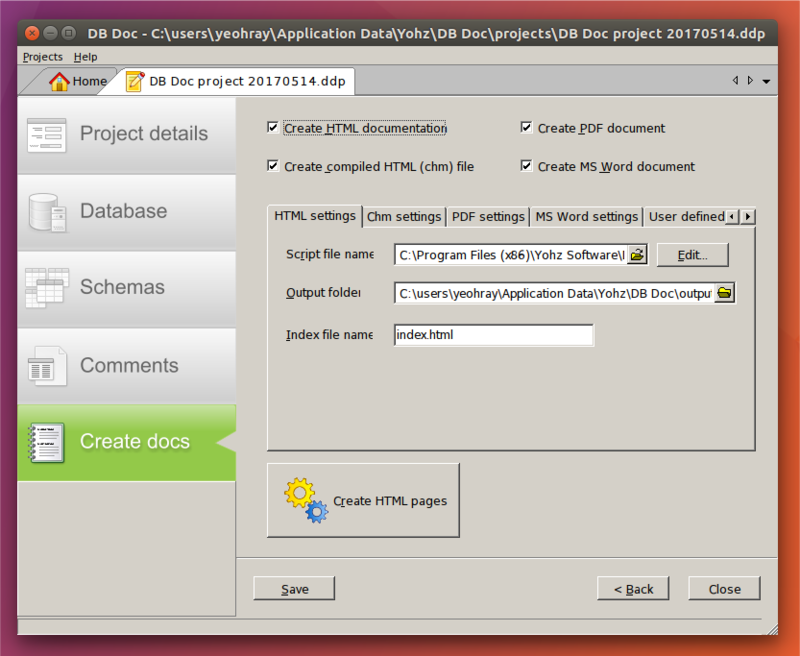 In bytea columns containing files, pgAdmin displays the hex values. 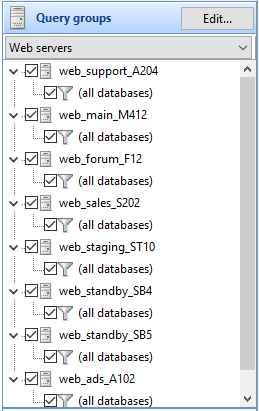 SQL Multi Select displays details of the data contained in those columns. 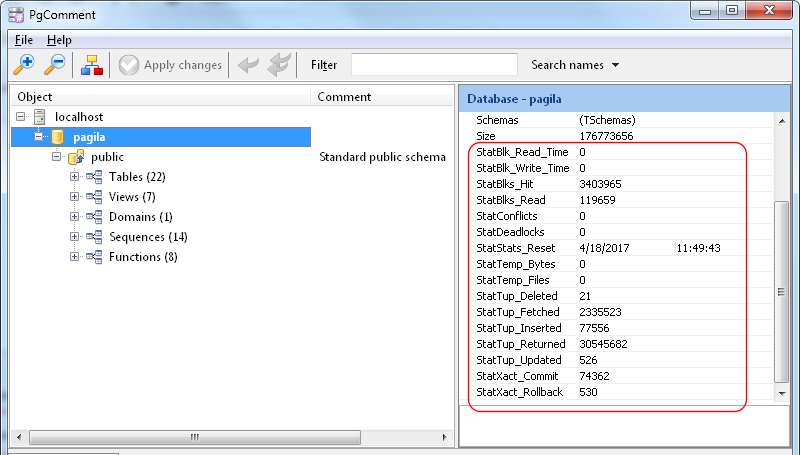 Note that SQL Multi Select inspects the bytea values and identifies the data type accordingly. SQL Multi Select returns the same result set in 1 second. In SQL Multi Select, you can search for a value in the result sets. You can also use a regular expression to search for values. 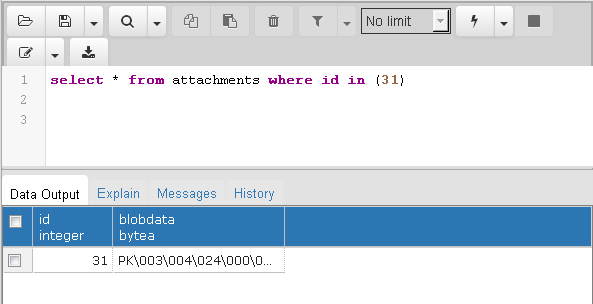 pgAdmin is still great for administrative tasks, but as a query tool, SQL Multi Select may be better in some cases. 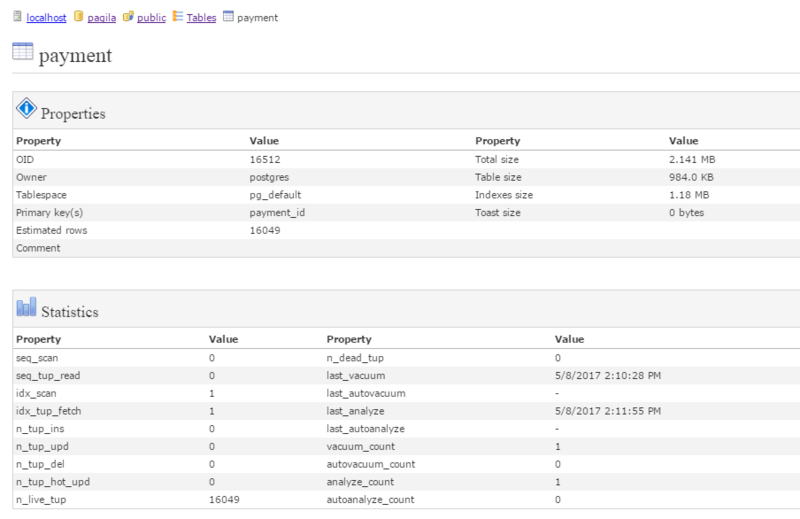 Download SQL Multi Select and give it a try now. The 14-day trial will be automatically converted to the FREE Basic Edition once the trial period has elapsed. 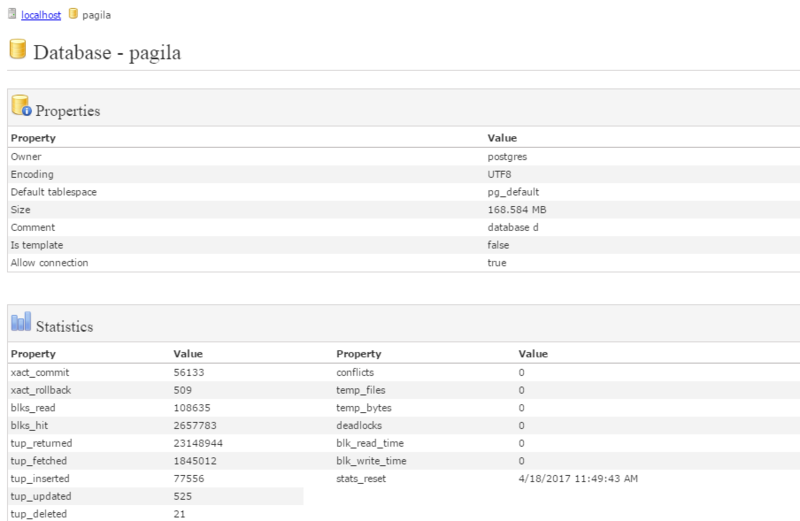 This entry was posted in SQL Multi Select and tagged pgAdmin, SQL Multi Select on May 2, 2017 by bloggyadmin.